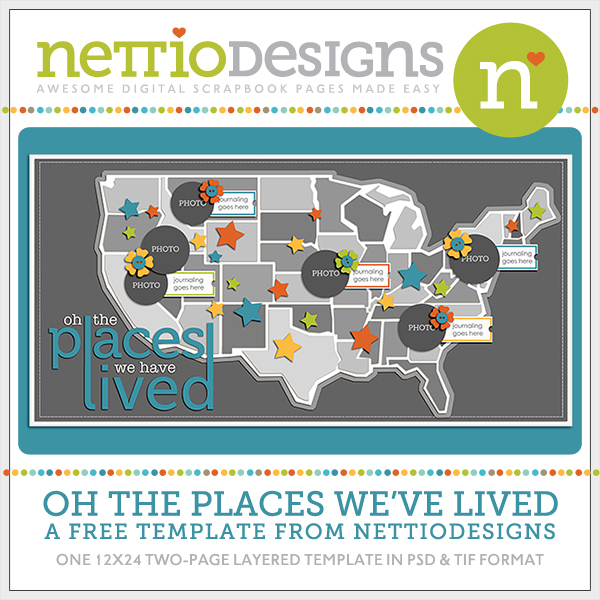 With the NettioDesigns 1st Anniversary celebration coming to an end this week, I wanted to spend today sharing some of my favorite NettioDesigns related-moments from the past year. I have to say, going back through my blog archives was a fun reminder of just how much I have done this past year, so I hope you enjoy this trip down memory lane! 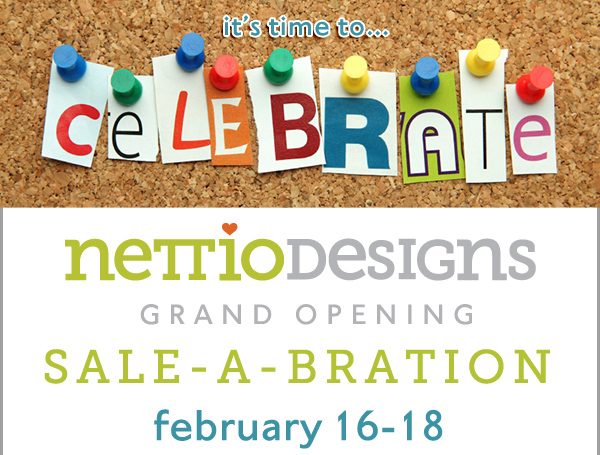 I don’t think any faves list for the past year would be complete without starting at the very beginning: February 16th, 2011, NettioDesigns’ official grand opening day. The circumstances surrounding the grand opening were well, crazy. In the midst of getting everything ready for the shoppe opening, I’d also volunteered to help my little sister drive back from Florida to California (I was on call for the Florida to Texas leg). Which meant behind the scenes, not only was I furiously working to create new product and get the shoppe up and running, but I was also driving long days and dealing with some of the craziest weather I’ve ever encountered – 30 degree weather in Florida, tornados and crazy rain in the South and snow and ice in Texas. In the end, it simply wasn’t possible to get everything done in time and I had to postpone the grand opening by a week. But all the waiting and hard work proved to be worth it because I’ll never forget the sense of pride I felt in seeing those first sales come through and realizing that hey, maybe this crazy idea of mine may just actually work. Two of my favorite blog-related moments from the past year would have to be the Great Computer Spring Clean-a-thon I did last March and my 5th Scrap-i-versary celebration last April. In both cases, I came up with this idea for a week-long series of posts for the blog and while things didn’t always go exactly as I planned, the posts from both of those series are still some of my favorites. There’s a quirky honesty and joy to those posts that feels 100% me. I may even have giggled a time or two as I read through them all again, hehe. 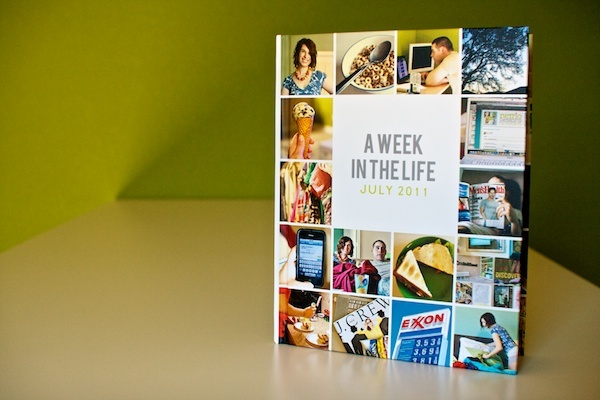 It’s hard to deny that my A Week In the Life photo book wasn’t a bit of turning point for my this little website of mine. It got me noticed by a larger audience and as a result, opened doors for some fun opportunities that probably wouldn’t have happened otherwise. The icing on the cake? 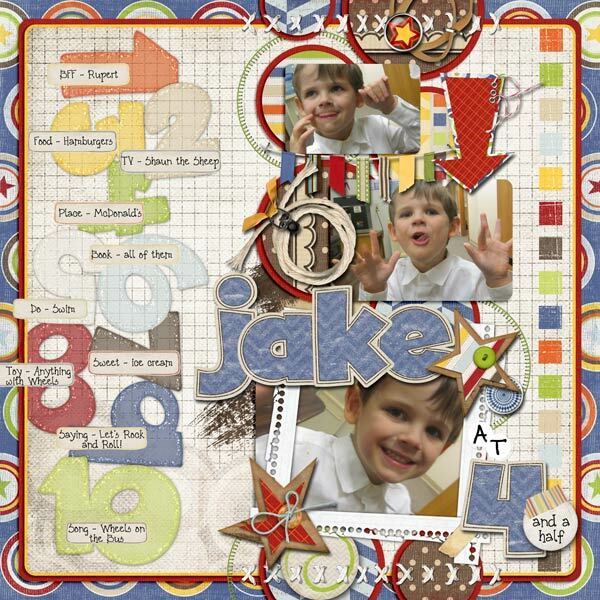 It’s still my absolute favorite scrapbooking project from 2011. 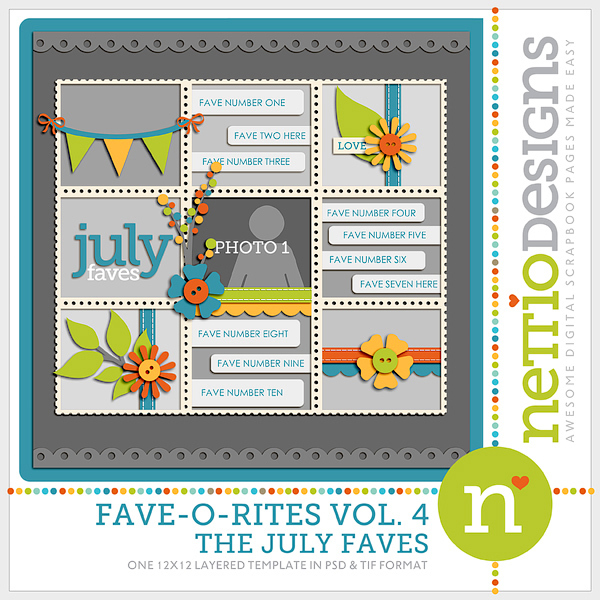 If there was one product line for NettioDesigns that represents year 1 it would have to be my Monthly Faves and Holiday Faves Mini Album templates. 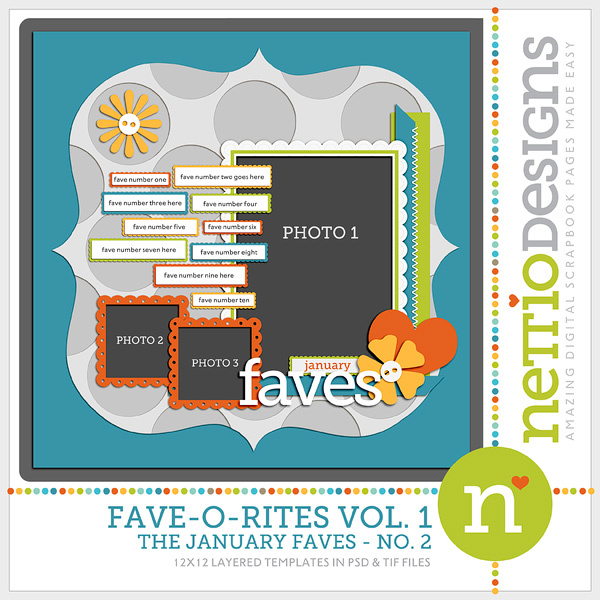 But the reason the Faves makes this list is not so much for the Faves themselves but because they represent the heart behind NettioDesigns – the importance of taking time to document and celebrate your awesomeness in a fun and unique way. 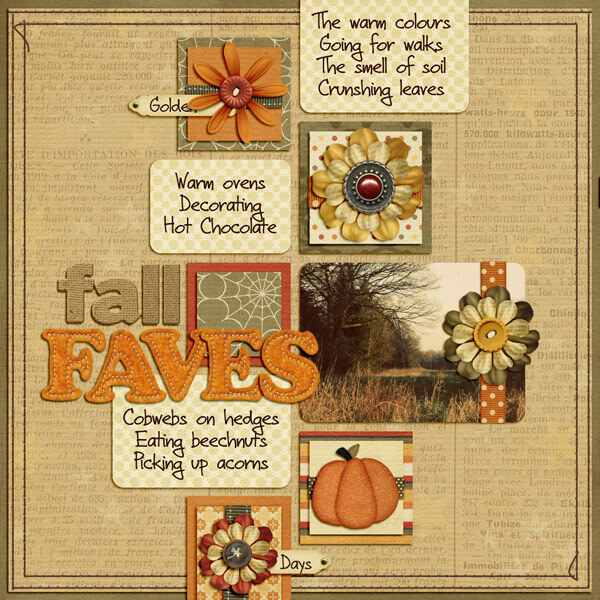 The Faves are what pushed me to begin this crazy adventure in the first place and so it seems only fitting to end the 1st anniversary with my final installment of the Faves template series, FAVE-O-RITES Vol 5: Sept, Oct, Nov & Dec Faves. These templates are up in the NettioDesigns Shoppe now and like everything in the shoppe are 20% off (30% off if you’re a subscriber!) through the end of February in honor of the 1st Anniversary Celebration. Go check them out here! And of course my final fave on this list would have to be getting to chat with all of you. Like most bloggers there are definitely days when it feels a bit like I’m rambling to myself, but those moments when someone shares a layout or leaves a comment and totally gets it makes this crazy adventure all worth it. So at the risk of being mushy for a sec, I hope you know just how much it means to me when you take time out of your busy day to stop by and share your thoughts and layouts with little ol’ me. 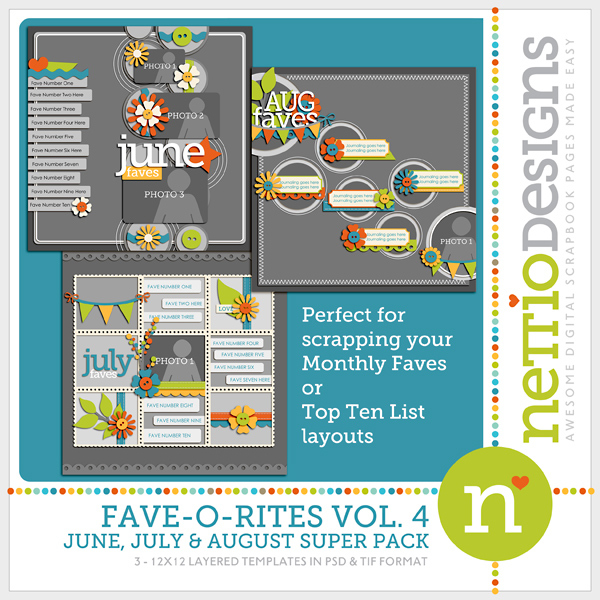 So with that, that wraps up my 5 Faves from the 1st year of NettioDesigns! I’ll be back tomorrow with my final 1st Anniversary post and to announce the winners of the Show Off Your Awesomeness Contest. In meantime, if you’ve been eyeing something in the shoppe, make sure to pick it up before the anniversary sale ends tomorrow! As I mentioned in my last post, after getting a bit behind over the summer on my 2011 Faves layouts, I have finally gotten caught up through August. Only September left to go! How do you remember your Faves when your scrapbooking, say, a July page in September or a June page in October? Well as much as I’d love to say I’m a super organized scrapbooker who keeps a running list of her Faves each month, I am most definitely not, haha. But that’s good news for you because it means YOU can use the same tricks I do for creating your own awesome Faves pages long after any month is over. 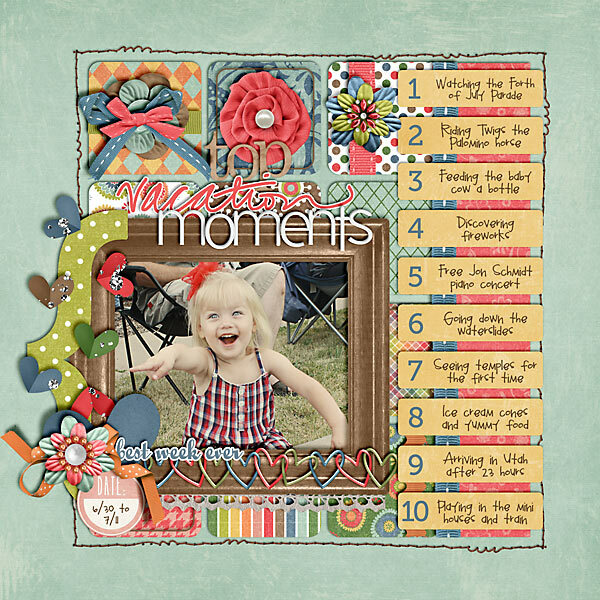 As a scrapbooker I take a lot of photos over the course of the month on a random variety of topics: events, places, people, things. So the first place I look when I’m starting a new Faves page is my photos from that month. Not only do they provide a visual representation of all the moments that mattered to me most that month but odds are if I took the time to document something, there’s a good chance it’s a fave of mine. In the same vein as photos, the stories I scrapbook say a lot about what matters most to me at a given time. If I take the time to scrap a certain story, like my love for Pinterest or our trip to Sea World, it’s probably something I was lovin’ at that time. Facebook, Twitter, IM, texts, emails and forums are all great places to look for your Faves because thanks to the wonders of technology, it’s easy to go back in your history and see what loves you’ve been chatting about recently. We all have those favorite things of ours that don’t change month to month. For me this would include things like: hanging out with Adam, my iPhone, American Eagle jeans, cheese, margaritas, traveling, etc. So anytime I need a few more Faves for my monthly list, I know I can call on one of these stand-bys to fit the bill. No one, including you, will remember a year or even a couple of months from now, whether something was actually a Fave of yours that specific month or not. So if all you can remember is you loved a certain television show over the summer but don’t know whether it was on in June or July, don’t worry about it. 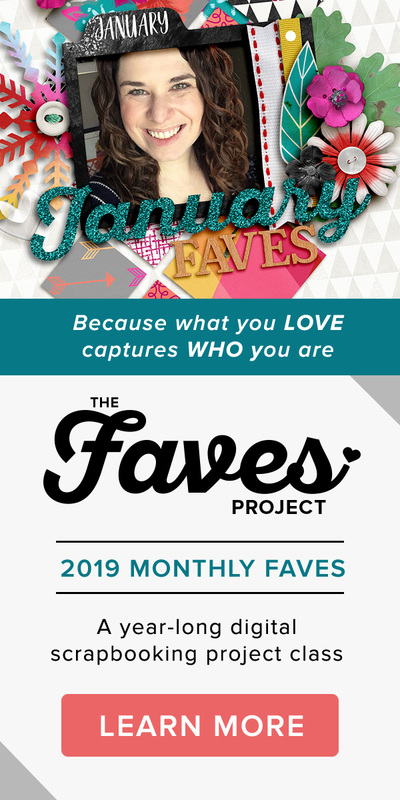 Yes, the foundation of the Faves project is themed around the idea of monthly Faves, but the truth is the date doesn’t matter. What is most important is that you took the time to document you and your Faves in the first place. Don’t let your date perfectionism get in the way of getting more of YOU into your scrapbooks. So there you have it! 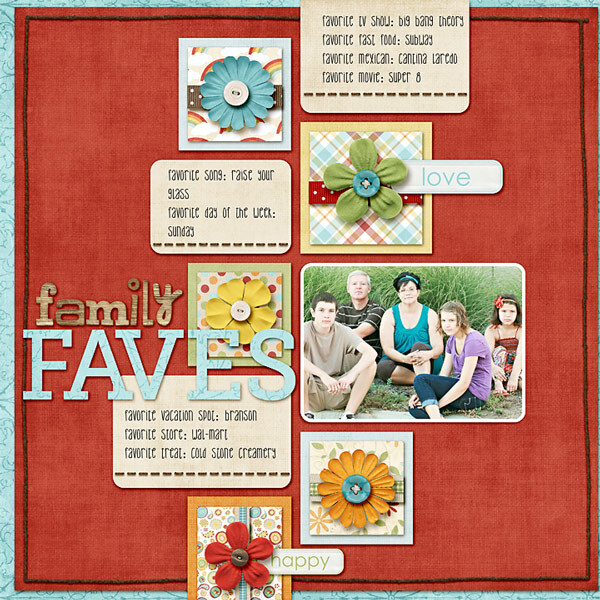 Five of my go-to tricks for getting my Faves scrapbooked. I hope this helps you get your Faves scrapbooked too! 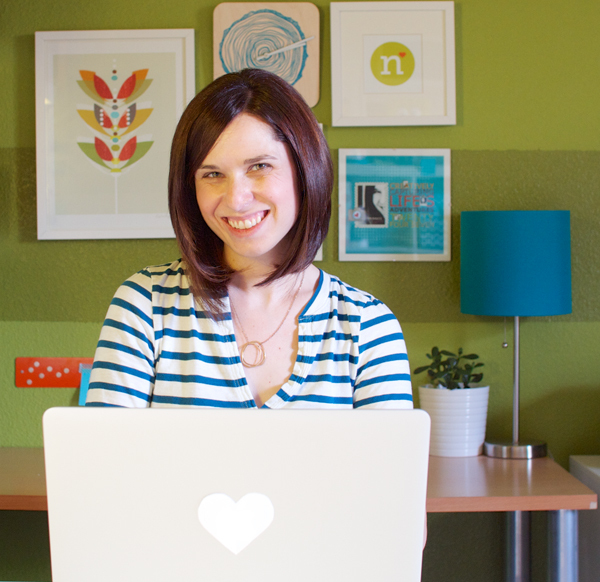 Psst…Want a little extra help documenting your Faves? 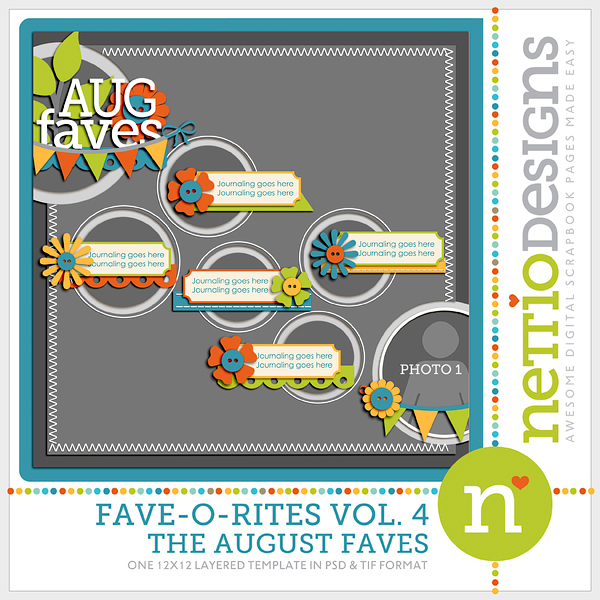 Be sure to check out my FAVE-O-RITES templates Volumes 1, 2, 3 and 4 in the NettioDesigns Shoppe. Psssst…have a burning question you’d like to see answered in a future installment of Ask Nettio? Send me a note or leave a comment and let me know! My quest to get caught up on my 2011 Faves layouts has been going along swimmingly. I am now caught up through August which means I only have September left to do and I’ll be officially caught up. I’m not one to use the phrase “caught up” in scrapbooking very often but in this case I’m pretty excited to be able to say that. Don’t they look fun together? 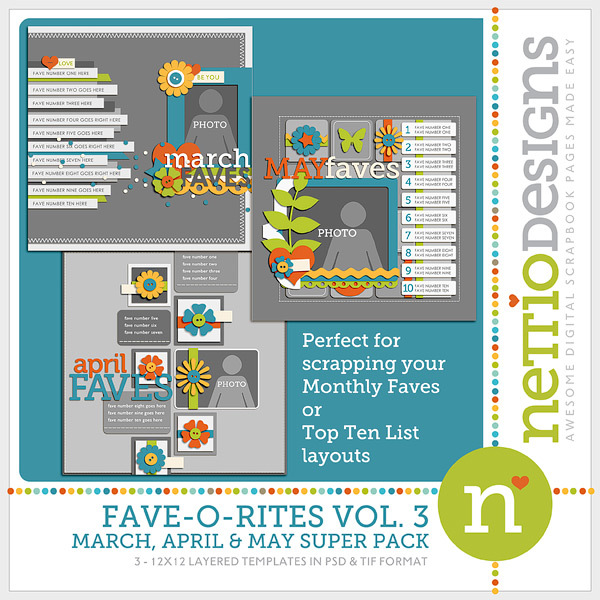 The good news for you Faves fans is this means I have a brand-new FAVE-O-RITES template super pack being released in the NettioDesigns Shoppe today! 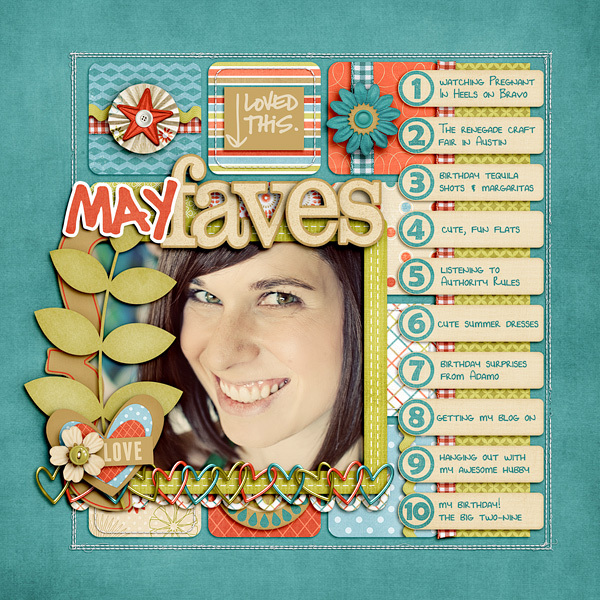 FAVE-O-RITES Vol. 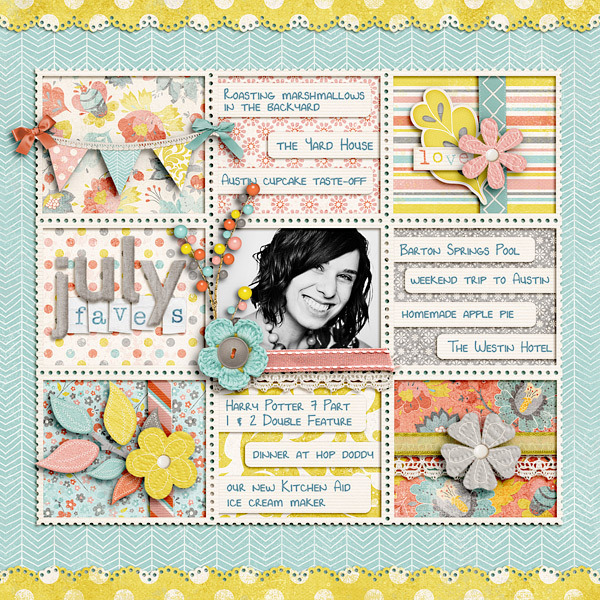 4 includes three 12×12 digital scrapbooking templates based on my June, July and August Faves layouts. 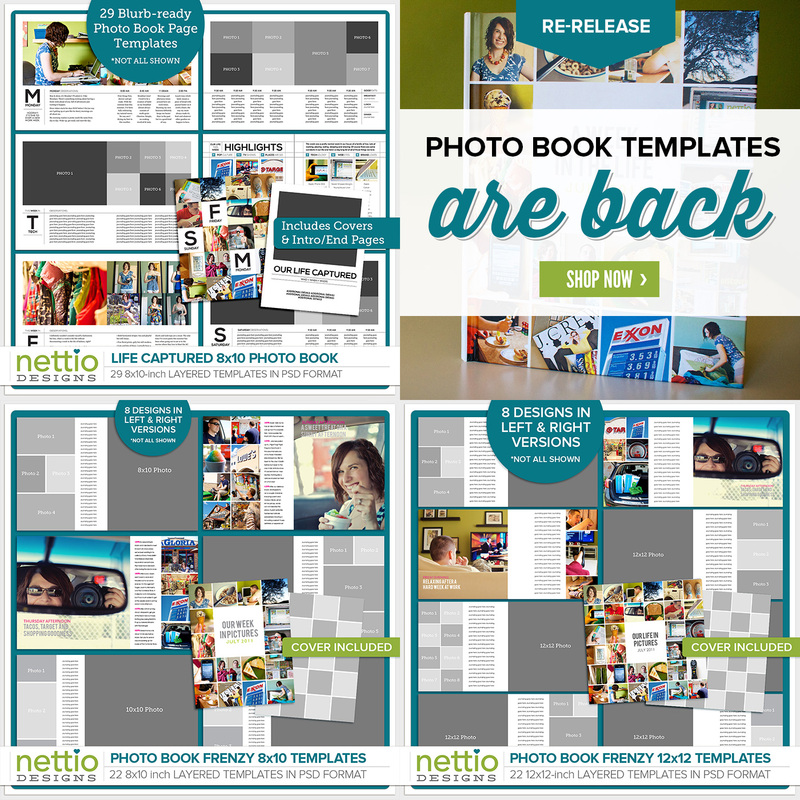 And of course, what’s a New Release day without some NettioDesigns Team Awesome inspiration! I always love seeing their take on my templates because they really show just how versatile these templates they can be. 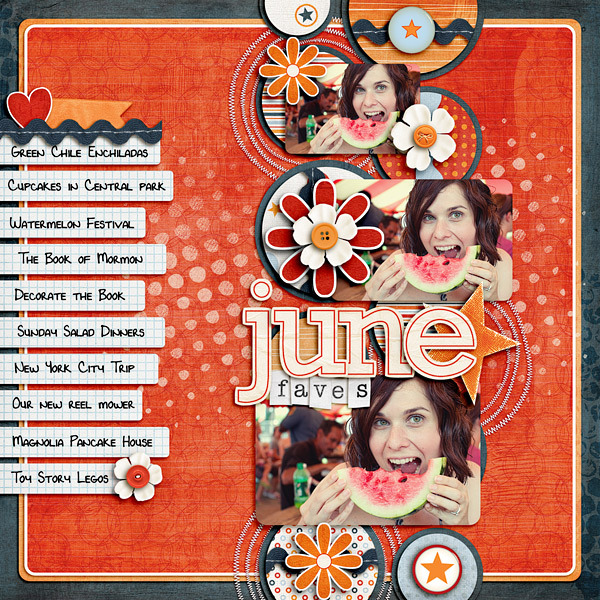 The FAVE-O-RITES Vol. 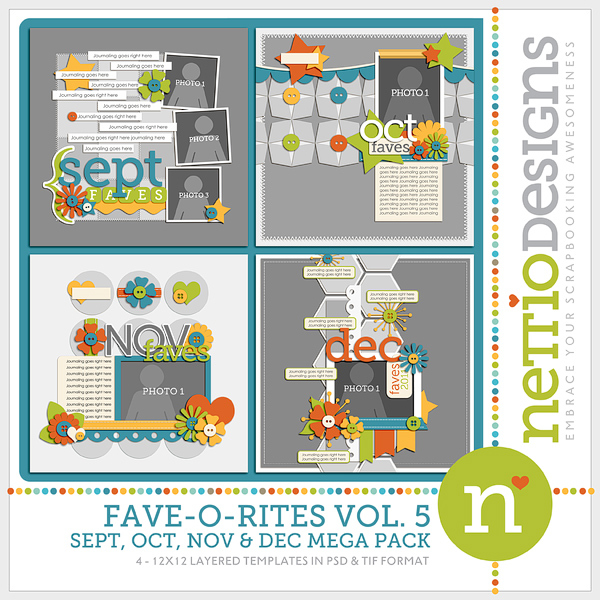 4 Super Pack is up NOW in the NettioDesigns Shoppe and is 20% off thru Friday, October 14. Pick up FAVE-O-RITES Vol. 4 right here. Are YOU Ready to Scrap Your FAVE-O-RITES? 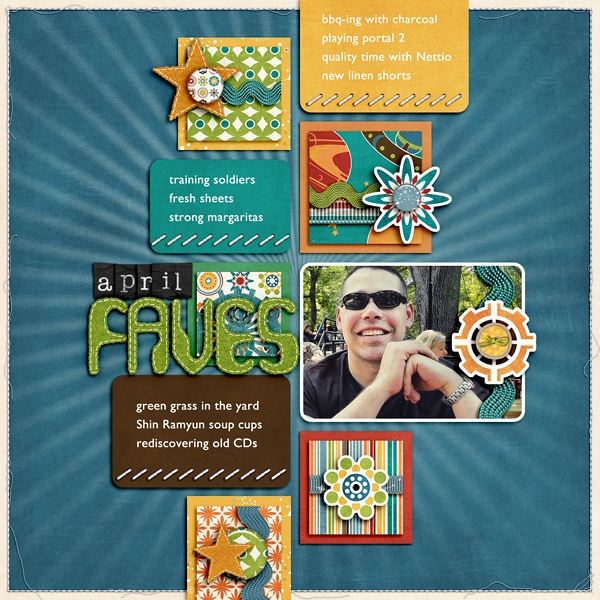 If you’ve been following NettioDesigns or my scrapbooking for awhile, it’ll probably come as no surprise to you that I love scrapbooking Faves layouts. 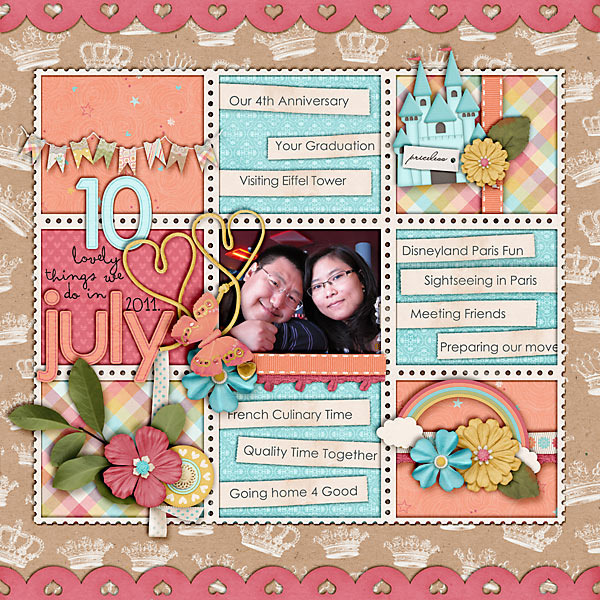 So it seemed only fitting that for their first task as members of the NettioDesigns Creative Team (or Team Awesome, as I like to call them around here, haha), I asked my team of lovely ladies to get their Faves scrapbooking on and boy, did they totally rise to the occasion! This is what I LOVE about templates. You can give a team of people the same three templates and topic and yet each layout is completely different and unique because each of our lives and stories are totally unique. 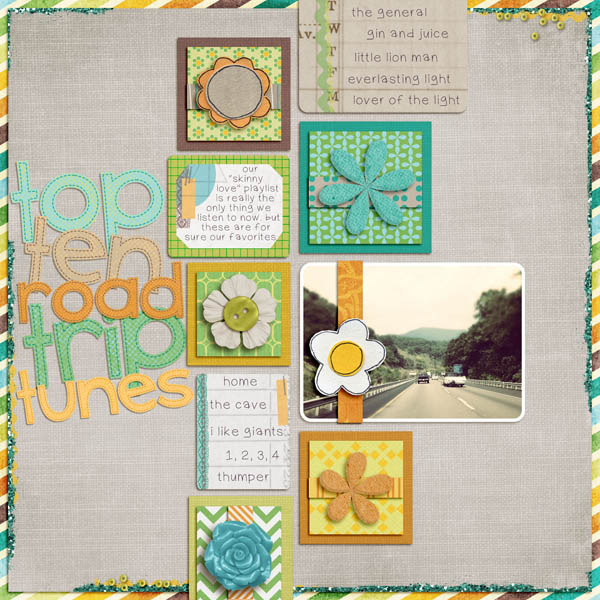 The solid modern paper-lovin’-style design may stay the same but by adding in a touch of your own scrapbooking awesomeness, you end up with a layout that is so-very-YOU. And that’s exactly what these ladies did. Feeling inspired to scrap your own Faves now? 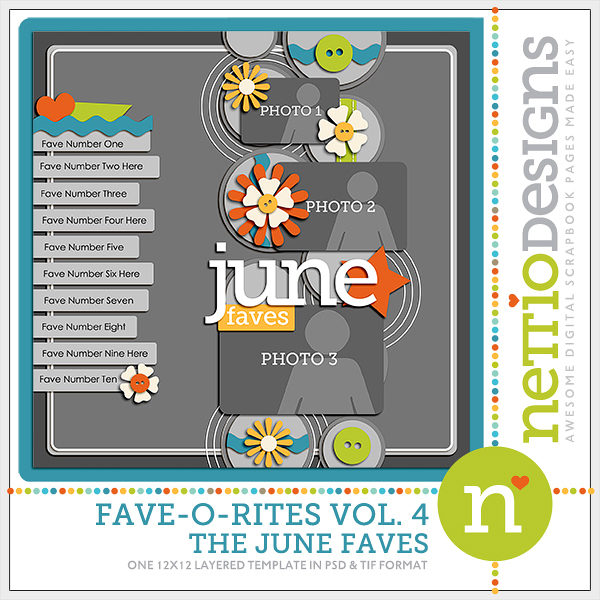 Check out the FAVE-O-RITES Vol. 3 March, April & May Super Pack. It’s NEW in the NettioDesigns Shoppe today. Looking for more Faves templates? 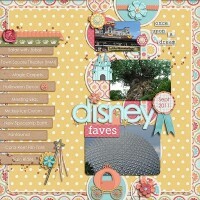 Check out FAVE-O-RITES Vol. 1 & Vol. 2. 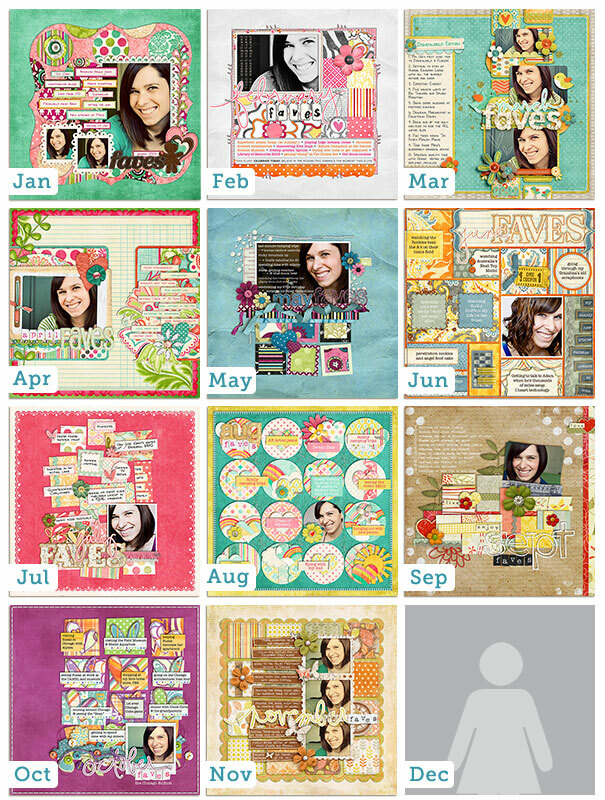 As I mentioned in my last post, April 7th 2011, was officially five years to the day from when I created my first digital scrapbooking layout. Boy how time flies. All you gallery stalkers out there have most likely seen my Faves layouts floating around in the digi galleries before, but for any of you newbies out there, here’s a quick refresher of what my Faves layouts are all about. 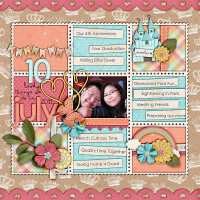 Back in January 2009, I decided that every month for that year, I would create a digital scrapbooking layout documenting my top ten favorite things from that month. My faves could be anything I wanted: people, places, things, experiences – anything and everything I was loving at that moment was fair game. My list had to include exactly ten items – no more, no less. Journaling had to be in list form but numbers were optional. 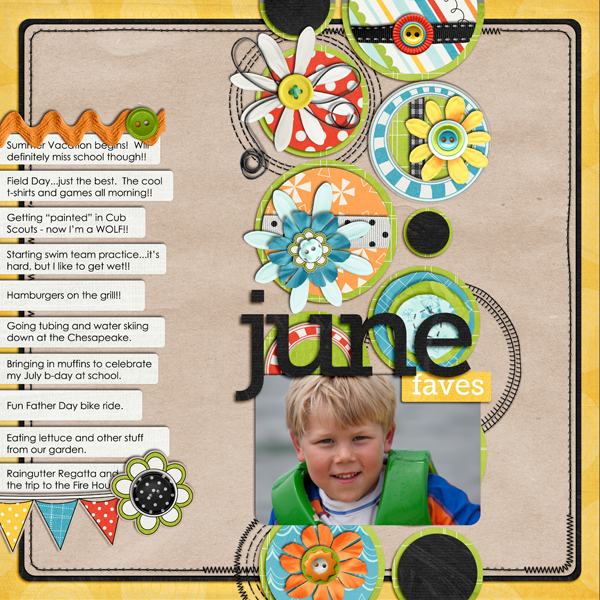 The title for the layout had to include the month followed by the word FAVES. The one thing I didn’t do was set myself a specific timeline for completing the layouts. No layout must be finish by the 8th minute of the 15th hour on the 1st day of the new month requirements here. If I scrapped my April faves on April 28th but didn’t scrap my May faves until July, I was totally ok with that. As much as I believe in the power of a deadline, I knew setting deadline for myself might quickly make this project a chore which I definitely wanted to avoid. Or uh, these 12 11 layouts. By the time December 2009 rolled around, I was ready to be done with the Faves layouts. Don’t get me wrong. I loved loved loved creating these layouts. 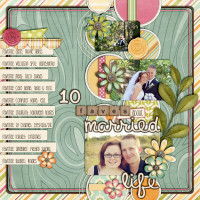 They were most definitely one of my favorite scrapbooking projects I had ever done. Just looking at them makes me smile a big goofy grin. But by the end of 2009, Adam had been deployed for a total of six months and the stress of him being gone had slowly taken it’s toll on my scrapbooking mojo. (Which is to say my digi mojo pool was at the bare minimum.) So I decided to take a break from the structure of the Faves for awhile and see where I ended up. 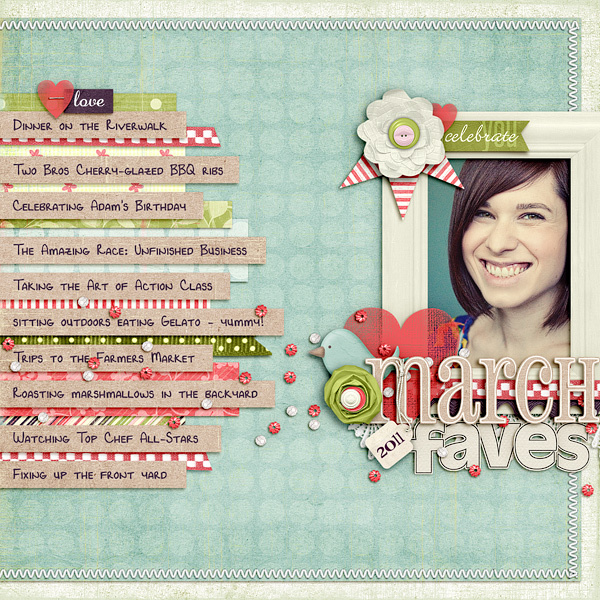 As 2010 progressed, I found myself more and more really missing scrapping my Faves layouts. I missed the simplicity of the list journaling. Seriously, easiest journaling ever. I missed having new monthly photos on hand for All About Me layouts. I know, I’m weird. Haha. I missed the challenge of coming up with fun, creative ways to scrap each month’s list in a new way. And I really missed having that monthly snapshot of my life to look back on. Having a moment captured in time like that is so cool to me. So when January 2011 rolled around, I decided to begin my monthly Faves layouts again. Same rules. New faves. Two years later. To say my life is different today from how it was in January 2009 would be an understatement. 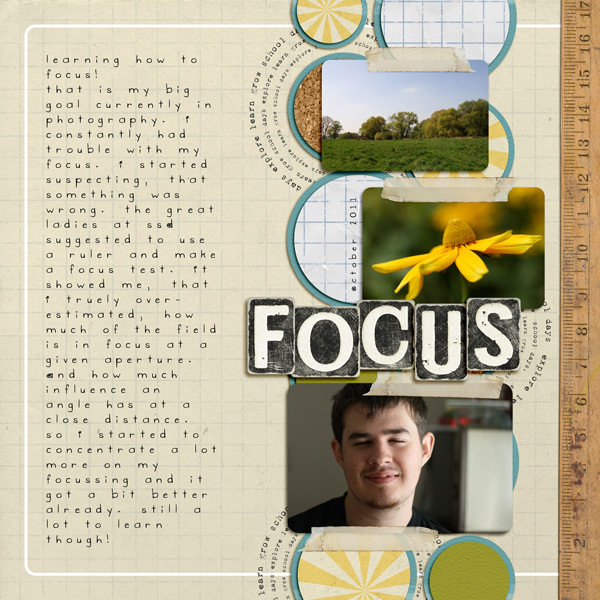 And yet when I look at these two layouts, I’m reminded again that while my world around me may have changed (such is life as a military wife), so much about me has remained the same. Like my love for driving my Nissan Murano. Oh how I love that car. And my obsession for home decor blogs. Young House Love is my newest fave. If I were to ask you today what your top-ten favorite things were back in January 2009, would you be able to tell me? Lord knows I wouldn’t be able to remember. But the beauty of these Faves layouts is I don’t have to. Because my Faves? They are right there. On.these.layouts. Documented for all time. And that right there is why I love scrapbooking. Because it allows me to document all those little bits and pieces of life that would otherwise be forgotten. Those little bits that truly make up who we are. And that is oh-so-very-cool. 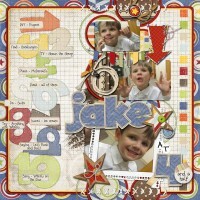 I truly believe that every scrapbooker should take the time to scrap their very own Faves layout. Because a top ten list is one of the easiest forms of journaling you can possibly do. For real. And if that wasn’t reason enough for you, I’m about to make creating your own very Faves layouts mind-blowingly easy. One advantage of my being one of the slowest digiscrappers ever? Despite it being now uh, April, haha (seriously, HOW did that happen?? 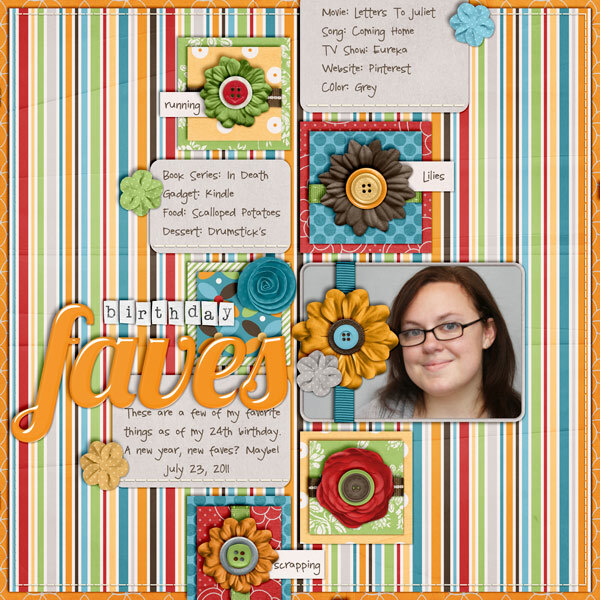 ), I have only scrapbooked one 2011 Faves layouts – my January 2011 Faves. 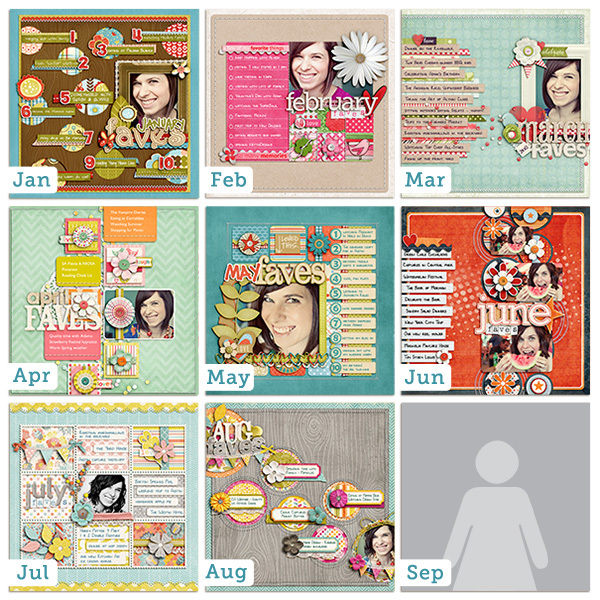 Which means, good news for you, there is still plenty of time for you to join me in scrapbooking your 2011 Monthly Faves! Woohoo! Go Team Slow Scrapper! 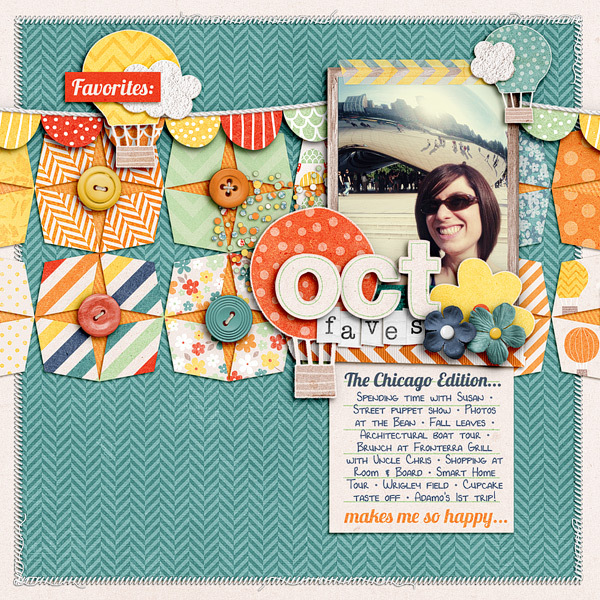 Today I am releasing the first in a series of digital scrapbooking templates based on my Faves layouts: FAVE-O-RITES Vol. 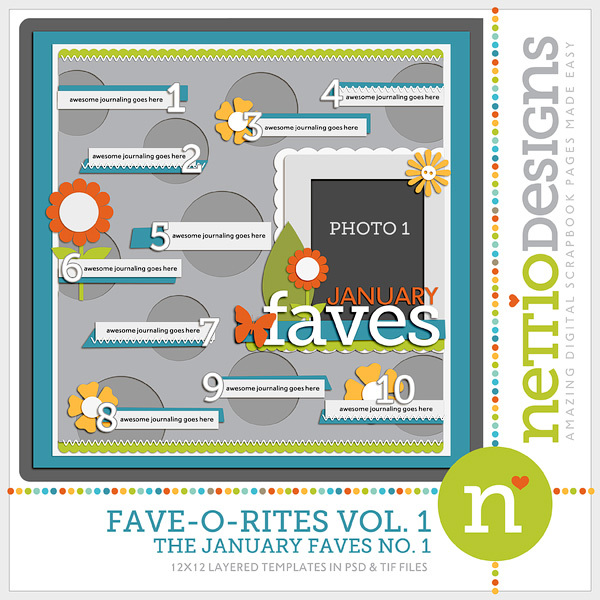 1 – The January Faves Edition. 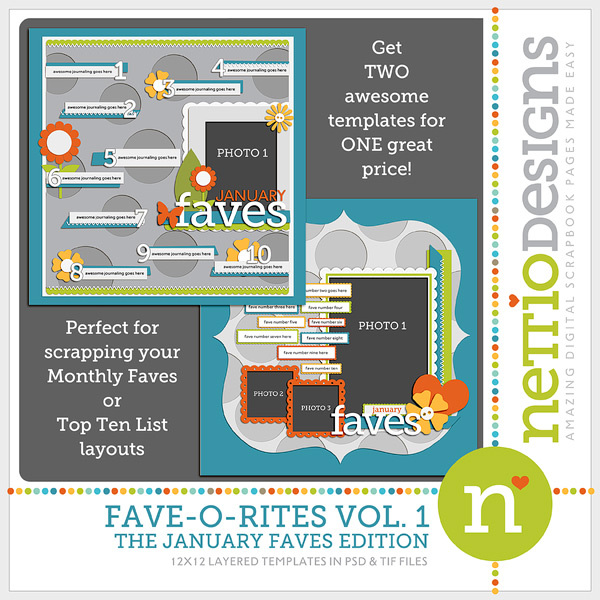 Today’s release includes two templates: The January Faves No. 1 and The January Faves No. 2. Each template can be purchased individually or you can purchase the template two-pack to save a little cash. 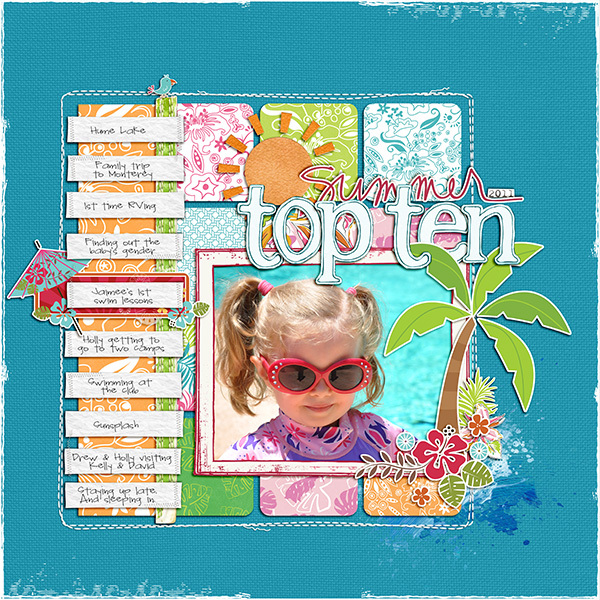 These templates are not only perfect for documenting your own Faves layouts but they’re a great way to scrapbook any kind of top ten list for yourself, your spouse or your kids. 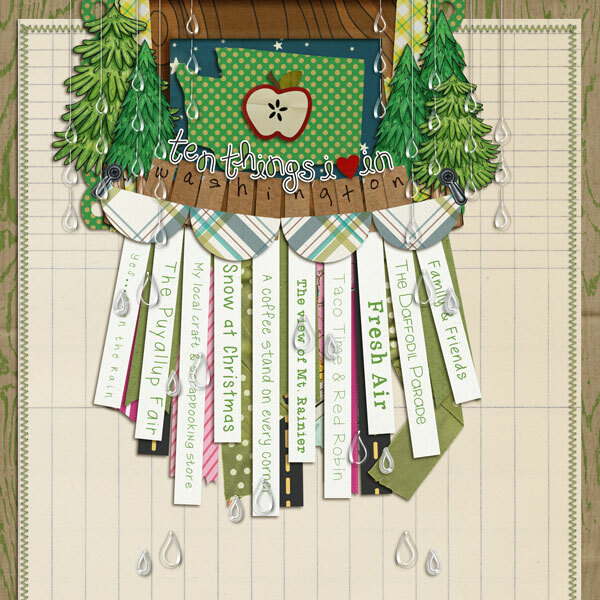 And with that my 5th Scrap-i-versary tribute to my most favorite project in the past five years comes to an end. But now I want to hear from you. Have you scrapped your own Faves layout? Did you love the end result? Have you thought about it but just never taken the plunge? If so what are you waiting for? Hit reply and let me know in the comments and if you’ve scrapped your Faves, be sure to link me up to your page so I can check it out! And if you use one of my brand-spanking new templates, be sure to link me up here in the comments too so I leave ya some love. I can’t wait to see what you create!